Forex is the Stock Market for small investors. We would say very few Binary Options or Forex traders are financially capable of investing purely in the stock market. Of course, we all know that investing $10,000 in Forex is a big investment, while in the stock market $10,000 would be considered a minor investment. We are not saying $10,000 is a small or big amount of money or that Forex is less profitable than the actual stock market. Then, why would we start this article saying “Forex is the Stock Market for small investors”? Binary Options are a way of buying contracts either of stocks, commodities or currencies, all with a fixed earnings and time. Meaning that, you cannot play with the payout or with the expiry times. If you want to trade Binary Options, you need to adapt yourself to the rules of the broker. Let’s see an example: If you place a trade and your prediction is right, you will get the payout offered by the broker (from 60% to 90%) but you need to be right by the time the expiration time comes (1, 2, 5, 15 or 30 min). Now, regardless if you win by 1 pip or 200 pips, your payout will be the same. In the opposite situation, if your prediction is wrong, you will lose 100% of your investment. Although it is very profitable compared to the Stock Market where you need to wait for years, sometimes to see earnings, it also involves a higher risk as you can lose part or the total investment in one single trade. We of course recommend you to invest only what you can afford to lose and never a significant amount that will affect your life in any way. Just as in the Stock Market you can “sell” your shares at any time and take the profits or what is left of your investment (in case your prediction was wrong) with Forex you can do the exact same thing. There are two small differences between Forex and the Stock Market on that matter; 1. You don’t need a physical broker (a sales person managing your investment) as the broker will be a web-based company holding and letting you manage your own investment and 2. You don’t have to wait for years to get your earnings, instead, it is a matter of minutes so that you can take your earnings and go home! Let’s put it this way: Forex will be your Stock Market at home and in no time. You might now be wondering why we would compare Forex that much with the Stock Market. Well, we all know stories about people getting rich buying shares at a very low price and selling them a few years later doubling the original investment. With Forex, you can do that in MINUTES! How? Simple; Forex works just as Binary Options, the differences are: 1. They don’t have a fixed payout, meaning that you have no limit to make a profit as long as your prediction is right, 2. They don’t have a fixed time of expiration, meaning that you can close your order (which is the same as selling your shares) anytime you want, better if it is when you are in the profit zone and 3. If you close your order to 200 pips of your entry price, you make 200 times more than if you close your order with 1 pip difference. To make it sound easier, the higher or lower you get (depending on your prediction) from your entry point (SR) the more money you make! With Forex, you can make several small profit transactions, closing them as soon as you see a profit, or you can open one transaction, wait till it gets really profitable and sell it, giving you the option to make a lot more profit than a 90% payout. Just as with the stock market, Forex allows you to manage your investment and forfeit if you are losing or close your order and take your money when you are winning. With a $300 investment, you can get to a $3,000 balance in no time if you apply the correct strategies and manage your trades well. This is a tough question that we would like to answer in the following way: Yes, if you are good with long term trading. When you place EOD trades with Binary Options, there are times where you are deeply winning and in the last 30 minutes the trade drops or spikes, depending on your prediction, and you end up losing a trade. With Forex you could have closed that order before and get your profit. Binary Options are more for people looking for fast trades. Although it involves a lot of advantages, with Forex you cannot make money in 3 minutes while with Binary Options you can. While in Binary Options you can win with 1 pip, and get the same profit as if you win by 200 pips, with Forex you could get 200%+ in return on investment in a few hours if you get over a 200 pips win. Both have their good and bad aspects, but let’s review one of the most important ones below. Sadly, we have to confess that the limitations of Binary Options brokers worldwide are affecting the industry. We saw many brokers, closing their doors during the last few years. There were brokers that we saw as the strongest in Binary Options. Although there are good brokers yet to work with, such as AnyOption, IQ Option, Daweda Exchange, Stockpair and HighLow, which are fully regulated, the limitations on several countries such as Canada, Australia, New Zeland, Japan and many other countries is a problem that has taken several traders to choose non regulated brokers in order to stay in the game. In the end, those traders are risking their money more than anybody else as there are no regulations that would punish those brokers in case they don’t comply with their offerings. Forex is ahead in this topic. The Forex industry has been very transparent ever since they started and they have been able to maintain the good face towards its clients. Even though there are scams on Forex too, such as non regulated brokers, we can assure that AvaTrade, FXTM and XM are trusted brokers that are and have always been on top of the industry and there are very few countries affected by regulations such as US with CFTC. But almost every country has access to their platforms and even Demo accounts. You can read the full AvaTrade review here and see how they can help you with education into the Forex trading. Forex has more advantages than Binary Options. Nevertheless, Binary Options are more suitable for people with less time to dedicate to trading since Forex does need more attention, more time to take their profits and more patience. In this article you found the most significant differences of the two trading businesses and we hope we can help you make the best decision for you and your pocket. 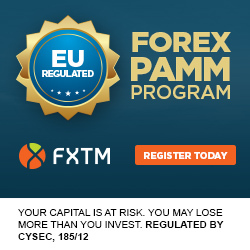 Subscribe to our newsletter for news, strategies and scam alerts on Forex in the future.